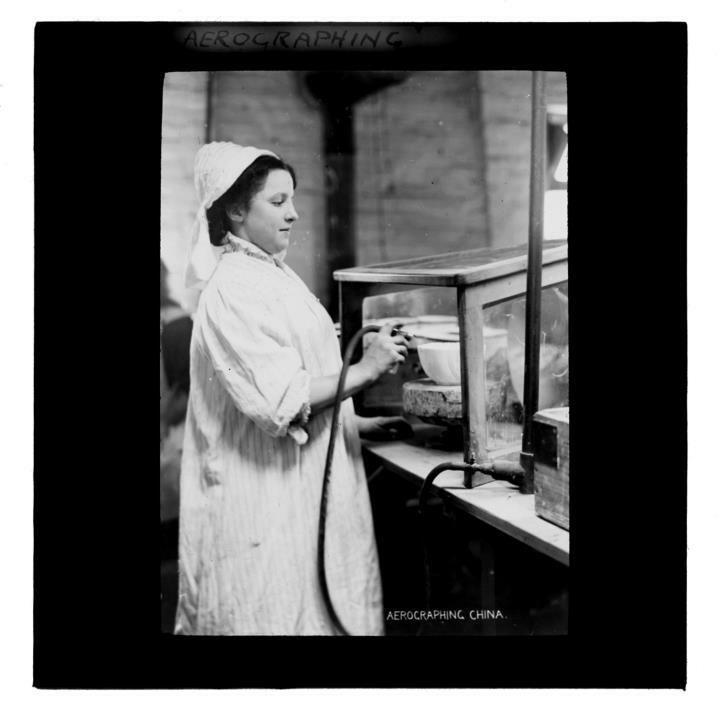 Description:Lantern slide of a pottery worker aerographing a bowl. "Aerographing. Delicate shades of colour blown on to the ware in a fine spray by an aerograph [sic] are another form of decoration."